Not that I know of, yes I agree with you. If a kid gets hurt because they have removed the guards, to me thats a far greater risk. We've got these ones in our hut - https://www.tlc-direct.co.uk/Main_In...ngs/index.html (or similar to the third ones down) - they were ones that were being replaced after just a couple of years at work. (Put in and then we decided to have a suspended ceiling so taken out again - I salvaged them and got an electrician to fit them in the hut!). 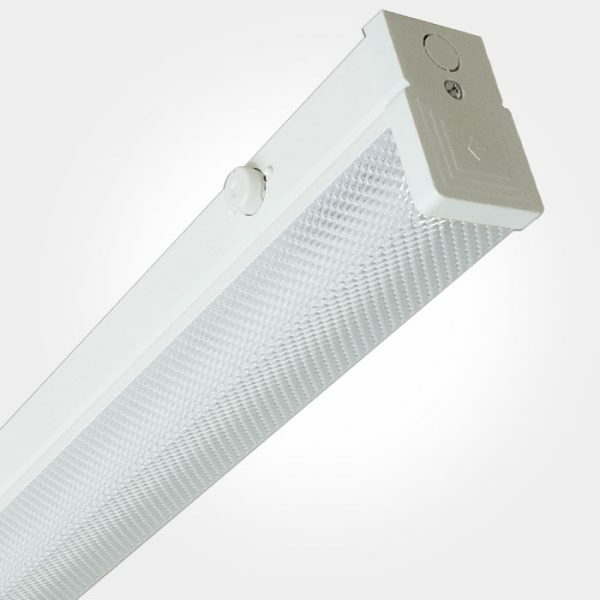 The metal diffusers avoid the flicker issue and also help protect the tubes from balls etc. Other than the insulation on the wiring inside, there is nothing obvious to catch fire and drip. LEDs are a long term investment and will pay for themselves through savings in your energy bills over the years. Our local council has been replacing all it's street lighting with LEDs as part of an "invest to save" initiative as are most local councils and many many businesses too. Our Church used a local company called LED Supply and Fit. A few months ago I replaced all my Aunty's bulbs with LEDs - I think it was about £13 for a pack of six Philips 60W LED bulbs - and it's already paid for itself in savings. Yes but florescent bulbs are already pretty energy efficient. Though they do seem to be being phased out so the tubes are getting more expensive I think. The council street lights and I suspect most of your Auntie's lights would have been expensive filament bulbs that generate as much heat as light and are thus more expensive to run than fluorescent tubes and LEDs. I remember triumphantly telling my mum, after about the millionth telling off for not switching the kitchen light off, that actually, it's cheaper to either not turn on a strip light at all if you can, or turn it on and leave it on if you know you're going to be return any time soon, because the main cost in terms of electricity is when you turn a strip light on. The majority of my Aunty's were energy saving bulbs. We once had an energy saving initiative at work which involved switching a large number of the tube lights off when not needed, and it actually ended up doing the opposite as they use more energy turning off or on then if they are just left on. We're getting a whole new led lighting grid installed soon. We've just switched from what you currently have to LEDs. I don't know where we got them from, but I'll see if I can find a brand name on them tomorrow. Conveniently, the cages that we had fit around the new LED setups pretty easily. We changed from wire guarded flourescents a couple of years ago after 30 or so years. Wouldn't give plastic diffusers house room - they become home to all sorts of things - dead bugs, dust etc. and falling off intact but giving those below a nasty blow. Beware the hype about LEDs. We replaced the flourescents to LEDs (35 of them - small units though). Received a constant barrage of complaints about dim lighting, flashing lights and broken ceiling tiles. We saved little or nothing on electricity and encountered much inconvenience servicing the units - replacing flashing units and cracked tiles. Failures may be due to the LED manufacturer but we were less than impressed. Well I challenge you to quantify that and prove that replacing striplights that aren't at the end of their life with LEDs is worth it once you've taken into account the upfront cost and the amount you need for them to be genuinely as bright as the florescent ones. Like I said our electric bill is absolutely tiny, even though we have electric heating, as it only gets used a few hours here and there. It's probably different for the council whose lights are on 12 hours every day. Also I've seen no real-world evidence that LED bulbs Last much longer than normal bulbs, some of the expensive normal fitting ones that you buy now I've had die in a matter of months, plus contrary to popular belief LEDs can get dimmer over time, so I'd worry about buying big installations unless I could buy cheap replaceable bulbs for them. Start up current is ~1.8 times running current, lets assume for 3 seconds. So your mum is right provided she leaves them turned on for more than 3 seconds, otherwise you're triumphant.